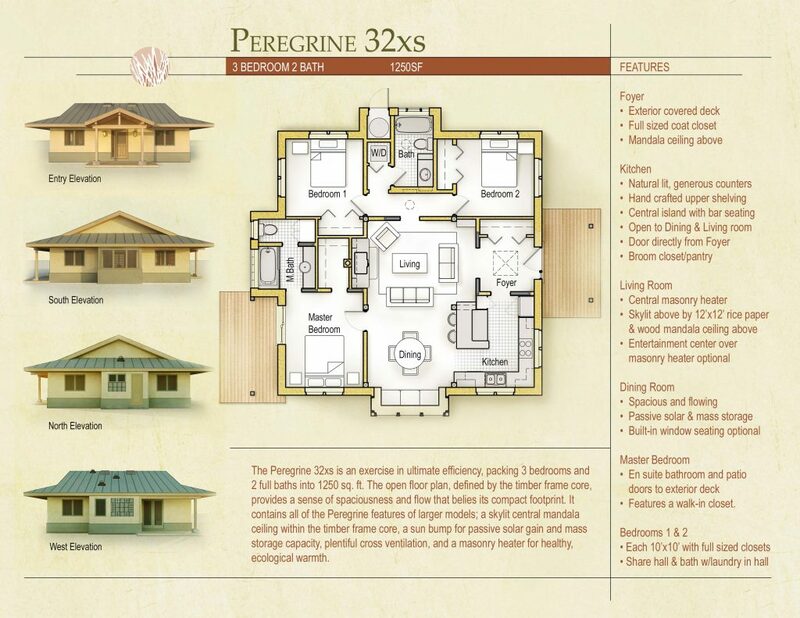 The Peregrine 32xs is an exercise in ultimate efficiency, packing 3 bedrooms and 2 full baths into 1250 sq. ft. The open floor plan, defined by the timber frame core, provides a sense of spaciousness and flow that belies its compact footprint. It contains all of the Peregrine features of larger models: a skylit central mandala ceiling within the timber frame core, a sun bump for passive solar gain and mass storage capacity, plentiful cross-ventilation, and a masonry heater for healthy, ecological warmth. Images Rendered by Mae Yuuki.